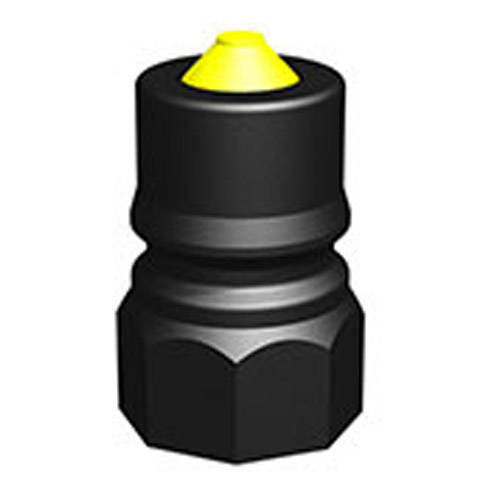 1" Dry-Shut male valve coupler with 1" BSP male thread in polypropylene with viton seals. Manufactured from food grade materials in a strong glass coupled polypropylene under an ISO 9000 Quality Management system. Each adapter is bagged and labeled for cleanliness and ease of identification. The CPP glass coupled polypropylene material is rated to 150psi and suitable for most chemicals carried in IBC Totes and Drums. 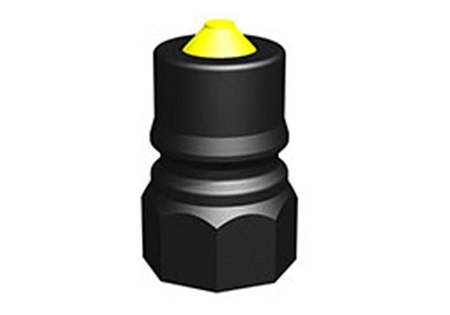 See item DEF10BFVF for female Dry-Shut adapter.